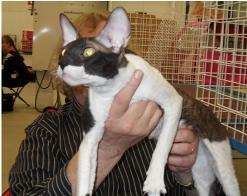 These pictures were taken on a show in Turku Finland in March 2012. 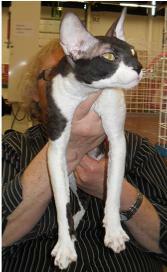 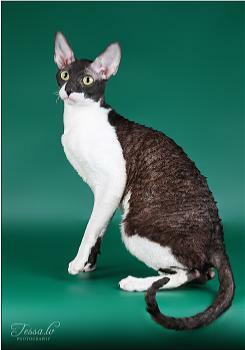 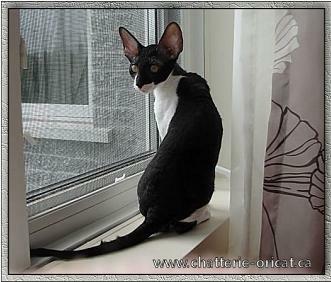 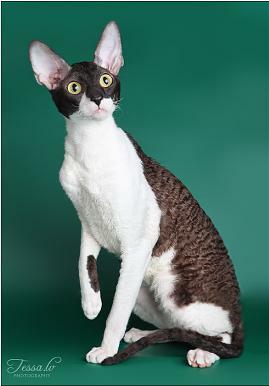 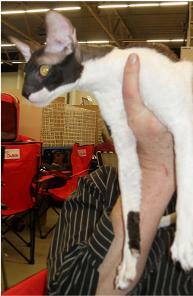 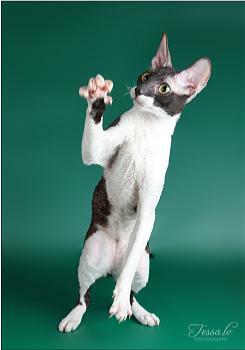 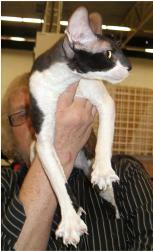 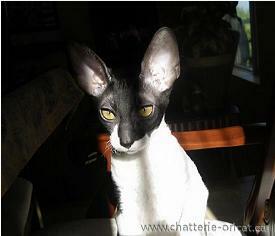 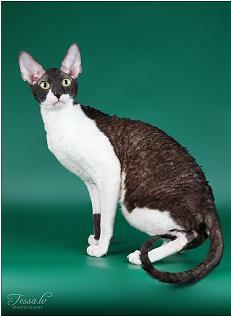 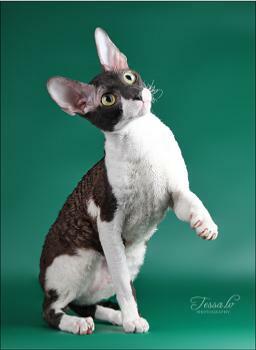 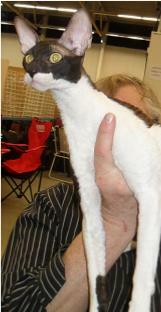 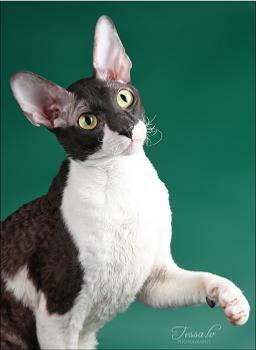 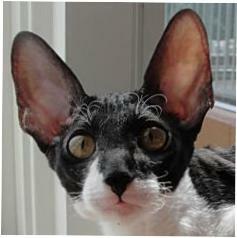 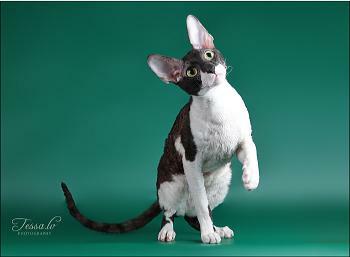 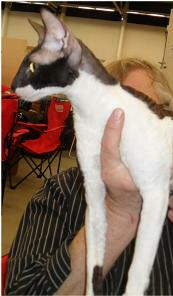 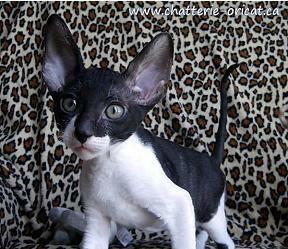 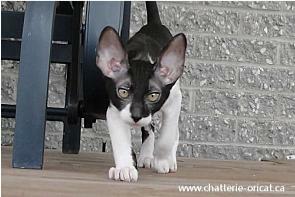 There The Judge assumed that Cornish Rex is one of the naked breeds. 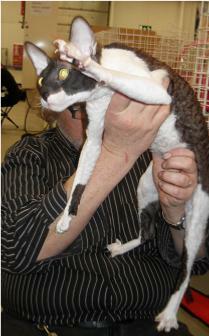 Therefore he did not like my curls.